The pomegranate contains powerful antioxidants with a wide range of activity in maintaining health, and mainly in maintaining the health of the heart, lowering cholesterol and balancing hypertension. 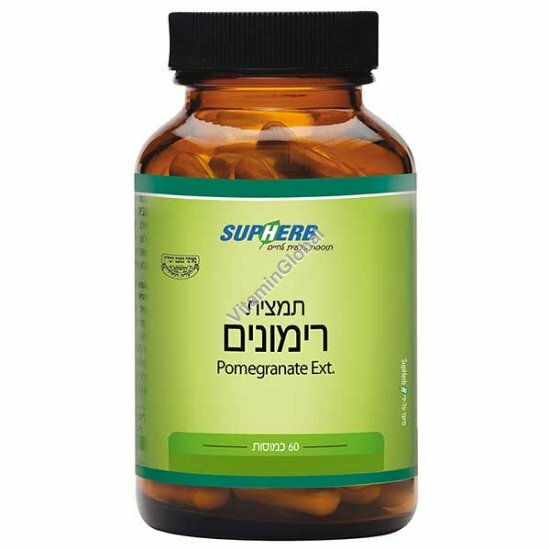 Consumption of Pomegranate Extract will reduce inflammation conditions; will prevent bacterial and fungal infections, maintain the hygiene of the digestive system, brighten skin pigmentation and reduce the risk for cancer. Available in packages of 60 herbal capsules.